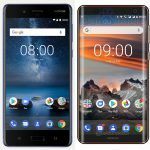 Last month, HMD announced two new Nokia branded devices – the Nokia 2 and Nokia 7. Nokia 2 is HMD’s latest device that targets the low end segment of the market, while the 7 is a solid midranger currently available only in China. Only one device about which we heard a lot has been left announced, and that’s the Nokia 9. 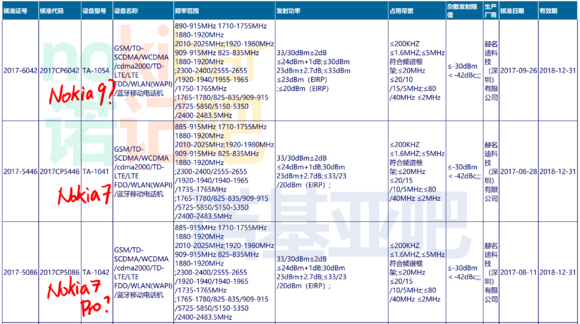 A new HMD device, under the model number TA-1054, passed certifications in China. The certificate shows just that the device supports fast charging and issue date, 26th September. 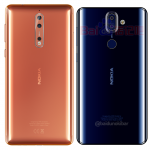 Considering that the 9 is the only device (alongside 1) that is missing from Nokia’s lineup, TA-1054 could be Nokia 9, which means that we could soon see HMD’s first bezel-less flagship. 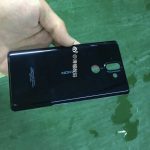 When Nokia 7 passed CCC, it was a month and half before HMD officially announced the device. With the 9 being certified in September, we could see the device being officially unveiled during this month.